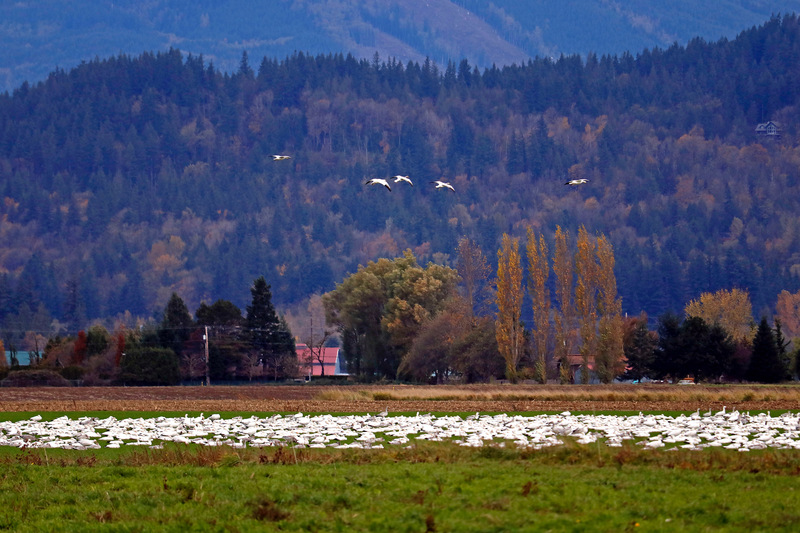 The fall migration is bringing Snow Geese and Trumpeter Swans back to northwestern Washington. 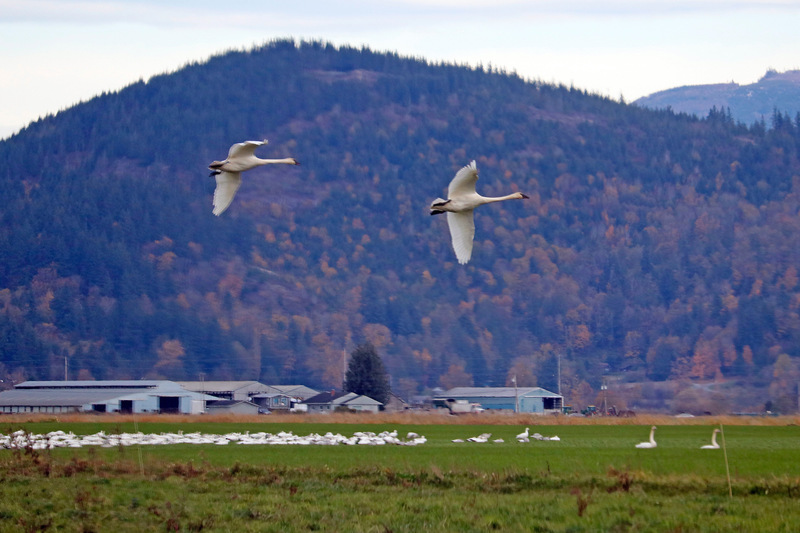 As their fields freeze over in Alaska, the swans follow traditional migration routes and return to Skagit & Whatcom Counties in large numbers. The open fields and moderate climate appeal to the migrating flocks that return year after year. 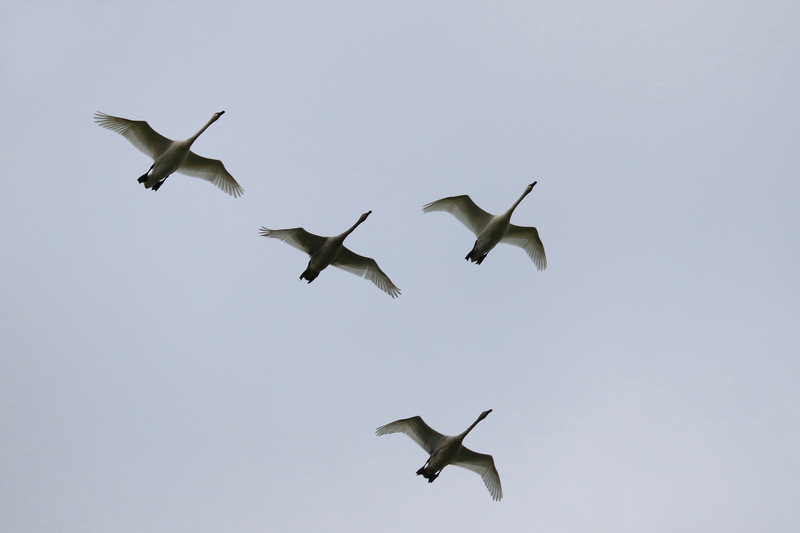 The swans will feed in one field and roost in another. 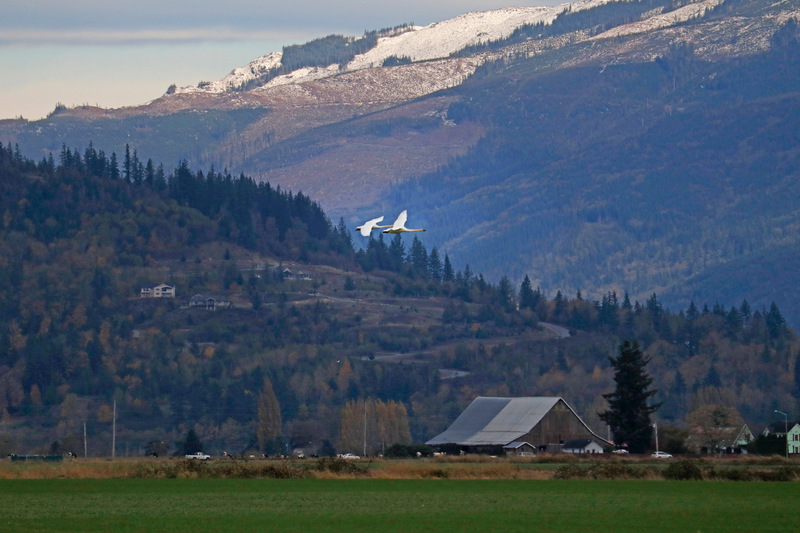 Skagit County has proactively kept agricultural grounds in production even as many other valleys in western Washington have turned over to development. 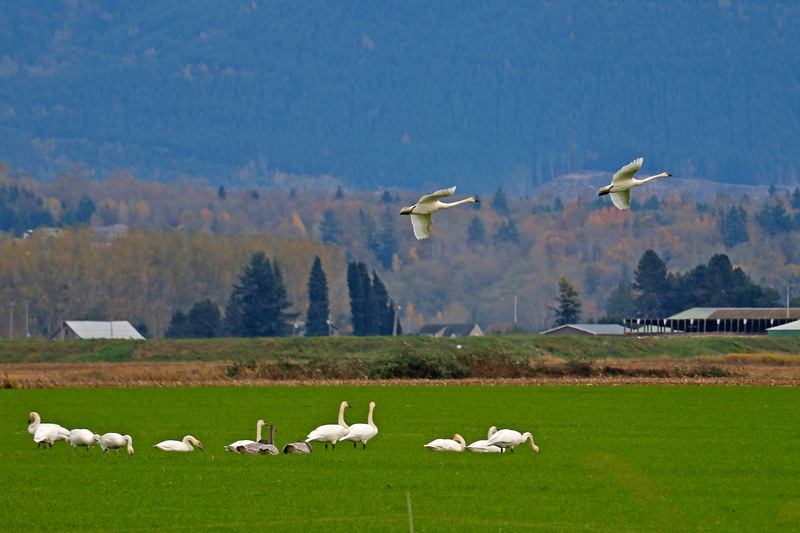 These farm fields turn into natural feeding and roosting grounds for the migratory birds and show the important coexistence of agriculture and conservation.